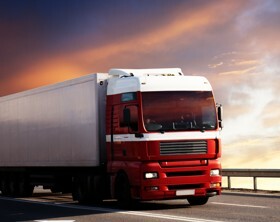 An efficient way to target safety deficiencies of trucks (e.g. overload) is to install preselection sites within the road network. 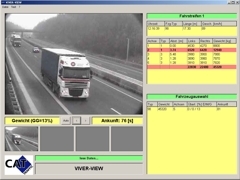 WIM-VIVER (Virtual Weigh Station) is the fully automatic weighing of heavy goods vehicle in free-flow traffic with the aid of road embedded weighing sensors, in combination with a videobased system for vehicle registration (VIVER) and identification (Automatic Number Plate Recognition) to selectively sort out potentially overloaded trucks. The vehicle data (axle loads, gross weight, overview image, licence plate number) collected at the measurement site are transferred (by fibre optic, radio relay, GPRS/UMTS etc.) to the truck control station. With high efficiency, only overloaded vehicles are sorted out to the enforcement zone, where vehicles are weighed with homologated scales (statically or dynamically at low speed).